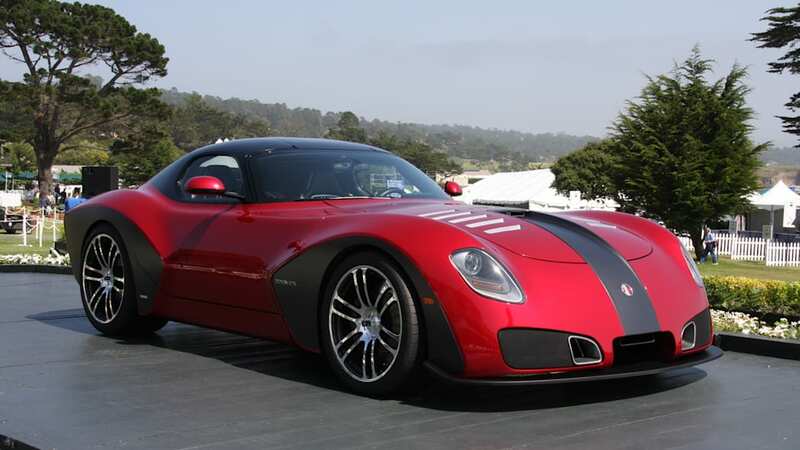 After speculation, spy shots and renderings, the 2010 Devon GTX finally made its debut on the 18th hole of Pebble Beach, with the hope of ushering in a new era of American supercar dominance. 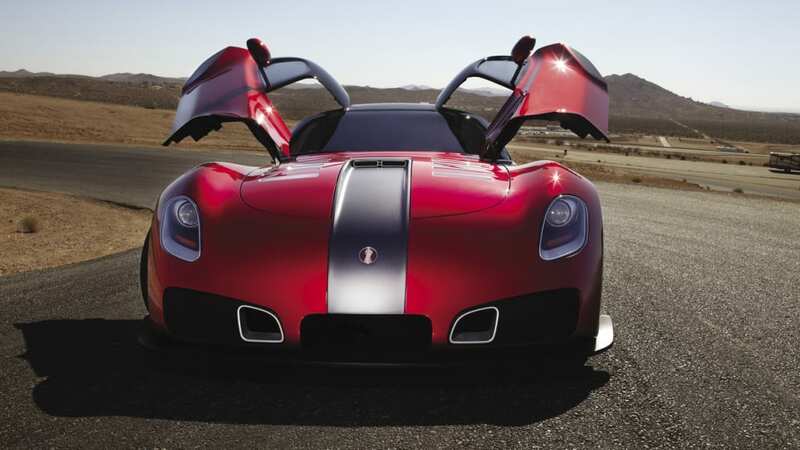 The California-based design studio and upstart automaker created the GTX as an American answer to the ultra-exclusive sports cars hailing from Europe. 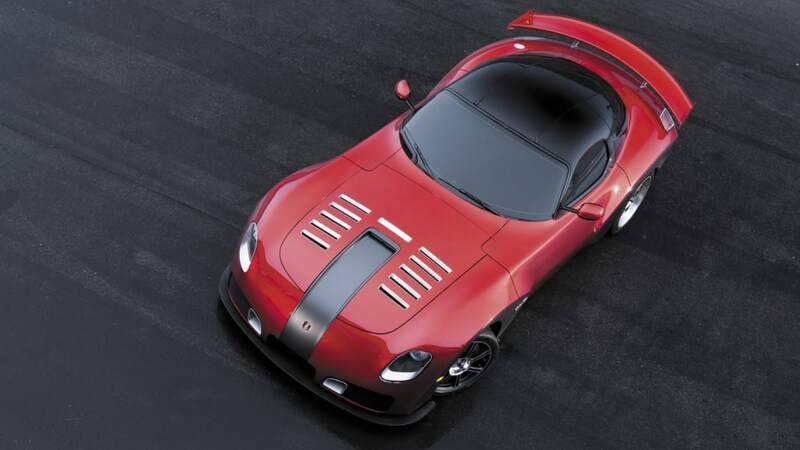 Housed within the steel structure and carbon fiber body lies an 8.4-liter V10 putting 650 hp (at 6,100 rpm) to the rear wheels through a six-speed manual gearbox. When the GTX goes on sale early next year, the coupe will be available in two flavors – a standard version and a more track-focused variant – each equipped with a fully independent suspension (a real-time damping and ride-height adjustment system will be available in late 2010), obscured by 18x10-inch (front) and 19x13-inch (rear) wheels (19s and 20s are an available upgrade), wrapped in Z-rated Michelin Pilot Sport 2 rubber. Six piston brakes clamp onto 380mm discs in front, while four piston calipers grapple with 355mm rotors in the rear. Devon plans to produce 36 cars each year, carrying a price tag of $500,000, with a racing package commanding another $25,000. Get all the details in the press release below the fold, and check out both galleries of the GTX below. 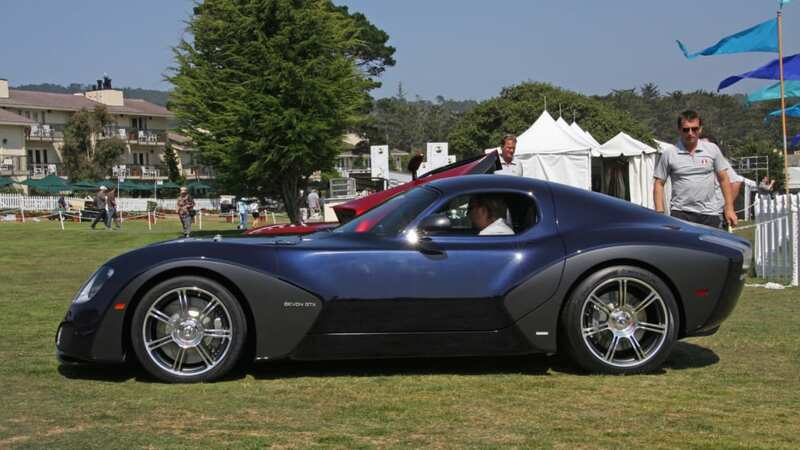 August 15, 2009 (Pebble Beach, CA) - Conceived by a visionary industrial artist, brought to life by some of the world's leading automotive engineers and designers, and proven on some of the most demanding race tracks in America, the all-new 2010 Devon GTX stands ready to stake claim as the next great American supercar. 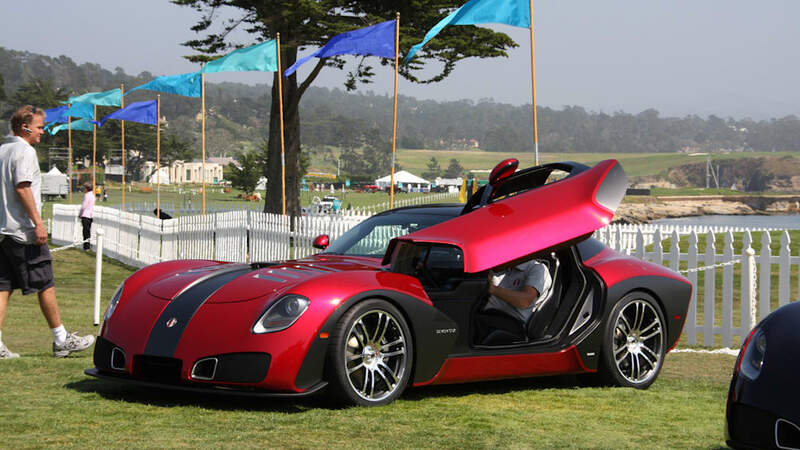 The 2010 Devon GTX was introduced today on the famed judging stand at the Pebble Beach Concours d'Elegance. 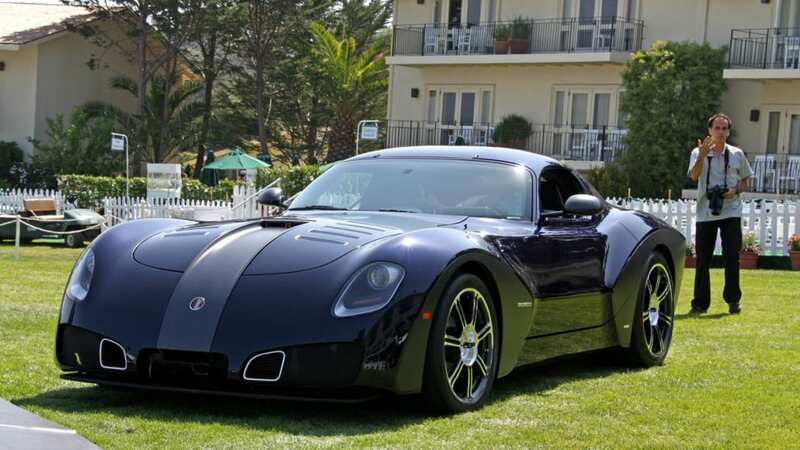 The limited edition supercar is the first product from Los Angeles-based industrial design house Devon Motorworks (devonmotorworks.com). It will go on sale in the first quarter of 2010. 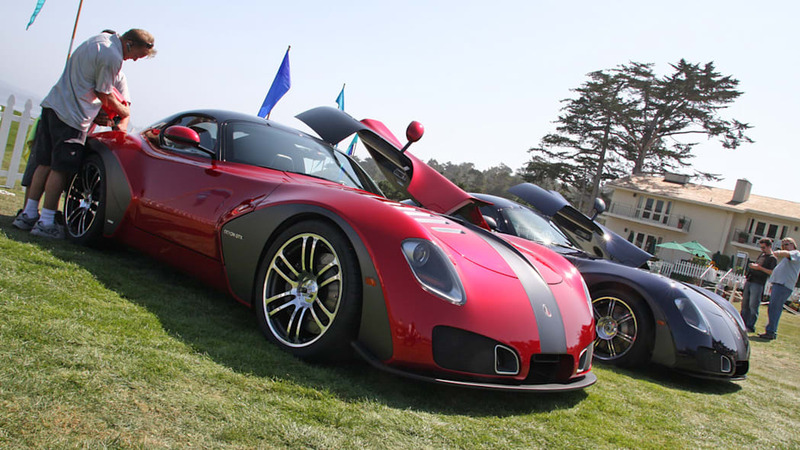 "We are so proud to utilize the hallowed Concours stand as the venue to premiere the first offering from our studio," said Devon Motorworks founder and CEO Scott Devon. 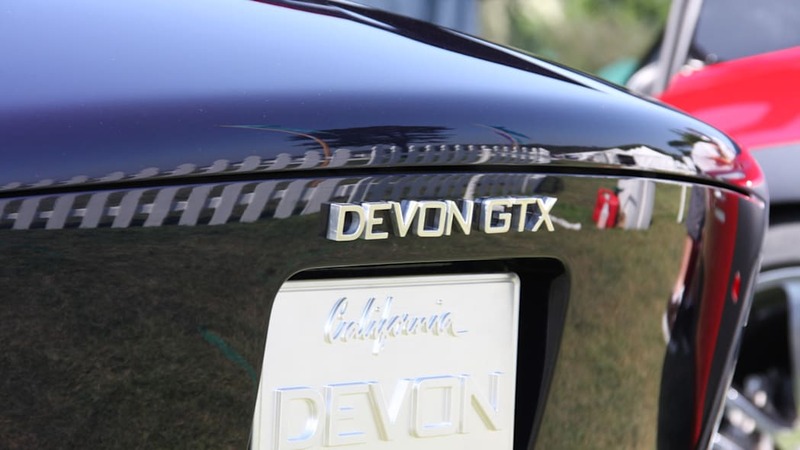 "Each year this event serves as a living homage to the great automobiles of our past, many of which served as our inspiration for the Devon GTX. By being mindful of classic design, and blending our own view of modern transportation, it's our sincere hope that we will earn a permanent spot in the landscape of automotive history." 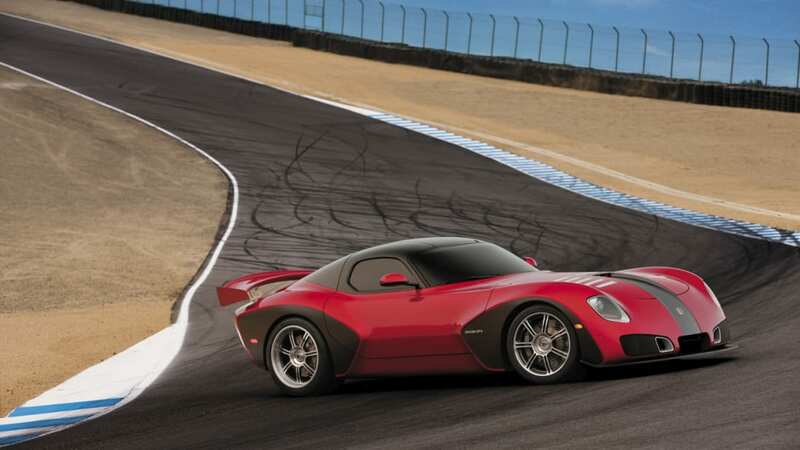 The Devon GTX is – on one hand – a race-inspired performance car, offering a 650-horsepower engine and a complimentary transmission and induction/exhaust system that will make it the most powerful naturally aspirated production powertrain system on the market today. On the other hand, the vehicle's muscular shape represents a new expression of modern industrial design, blending both classic and futuristic cues to warn of the awesome power that exists within its shape. 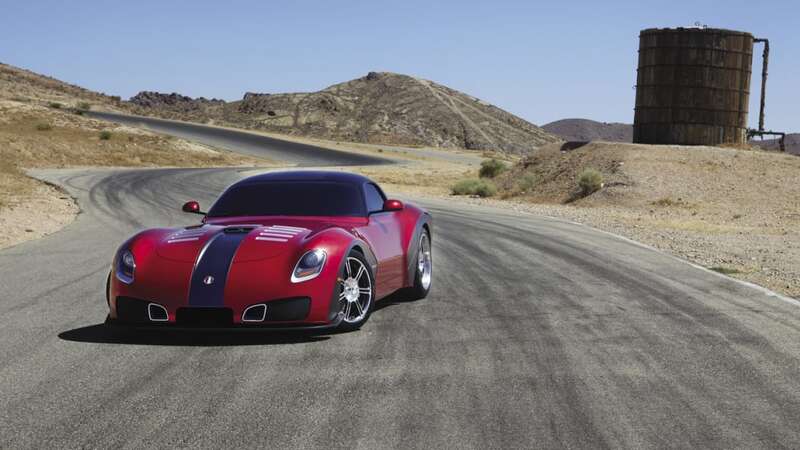 "We set out to design a vehicle that was quintessentially American, both in its shape and in its performance," Devon said. 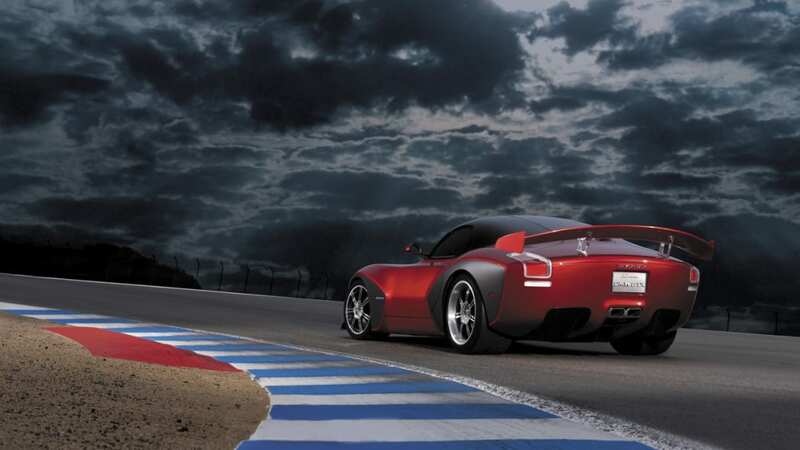 "Standing still, the Devon GTX tells a story of power, handling and beauty. It's classical, yet futuristic design promises an incredible experience. Once under power, the GTX lives up to its promise every heart-pounding second you're behind the wheel." 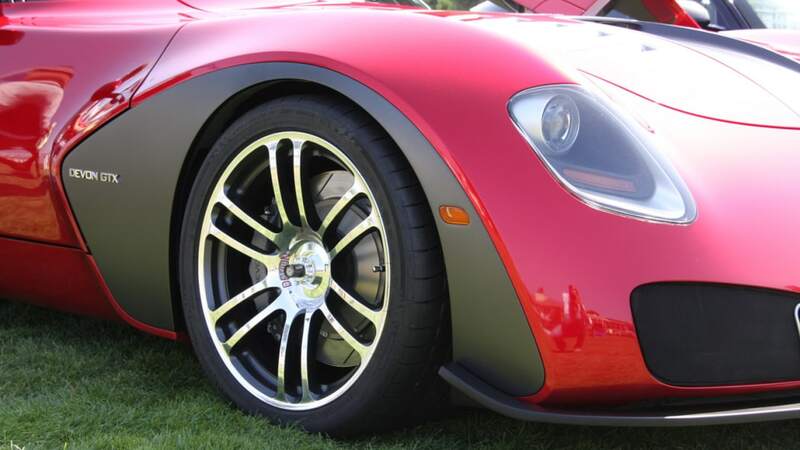 The vehicle's aircraft-quality carbon fiber body sits atop large lattice-structure center-lock wheels. The interior design reflects the company's progressive design philosophy and features carbon-fiber-reinforced racing seats, dual-grained leather surfacing throughout the cockpit and tasteful chrome appointments. 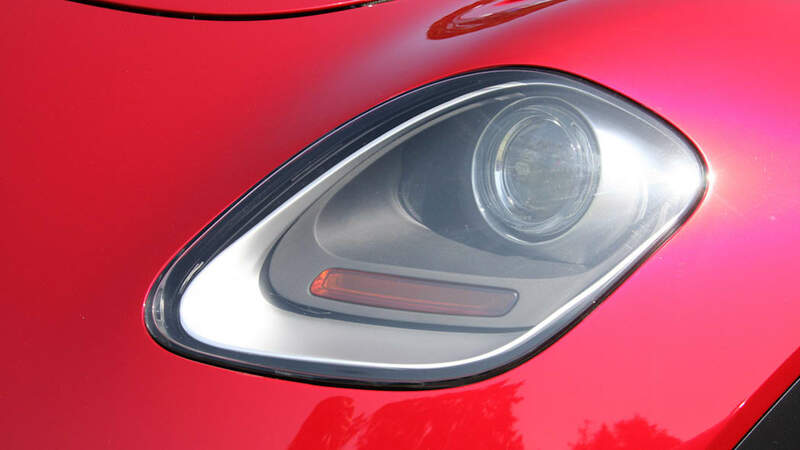 Refinement, quality and uniqueness are conveyed in the car's "up and forward" articulating doors, distinctive body two-tone wheel surrounds, minimal front/rear overhangs, and dual center rear exit chrome exhaust ports. 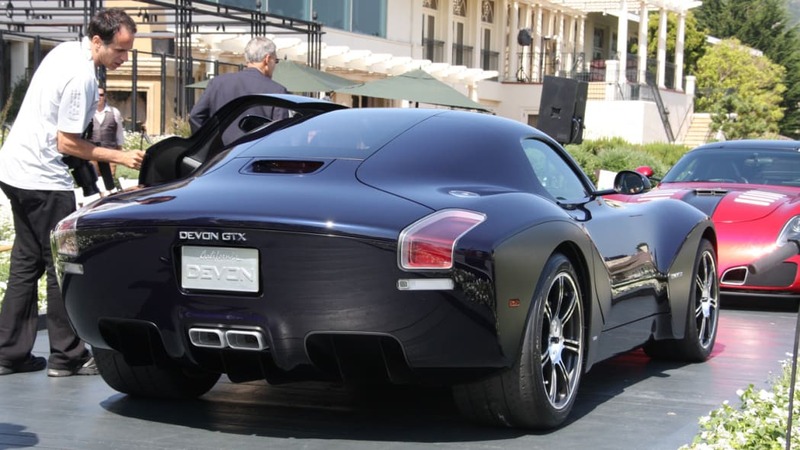 Beneath the skin of the Devon GTX is an 8.4-liter (510 cubic inches) V-10 engine that produces 650 horsepower (484.7 kW) at 6100 rpm. 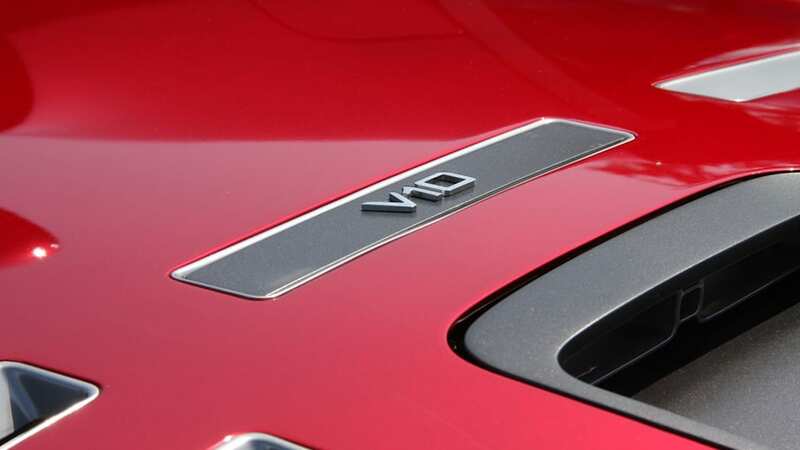 The V-10 engine is mated with a track-proven six-speed manual transmission. . 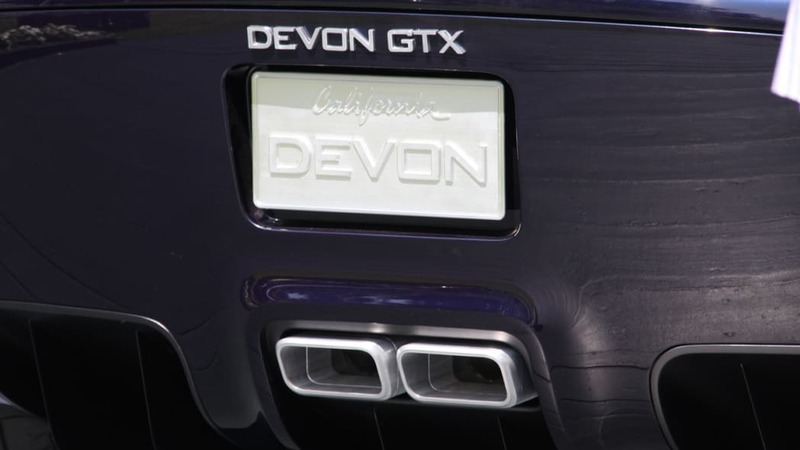 While the Devon GTX has yet to hit an American road, it has made its mark on two of America's most demanding road courses. 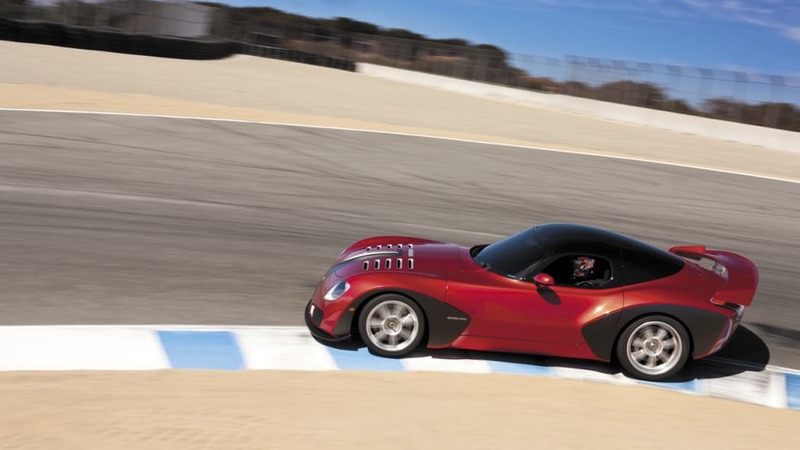 In validation testing earlier this year, the vehicle set production car lap records at both Willow Springs Raceway and Mazda Raceway at Laguna Seca. "It was not a specific goal to set track records at that stage of validation, but the car outperformed even our aggressive goals," said Devon Motorworks validation and testing leader Justin Bell, a former 24 Hours of Le Mans champion. "We are looking forward to additional testing, where I'm certain the GTX will eclipse any time we've set to date." Former Ford executive engineer Andy Benedict leads the product development team, while manufacturing and assembly is headed by Clive Hawkins, founder of ARIA Group. Aerodynamic testing is supervised by Dr. Joseph Katz of San Diego State University while marketing is led by automotive veteran Jerry Deeney. They are supported by a hand-picked team of experts that will design, engineer, manufacturer and present vehicles on a coach-built basis to a select and discerning customer base. "We have assembled an international team of highly qualified experts who have set out on an uncommon task. 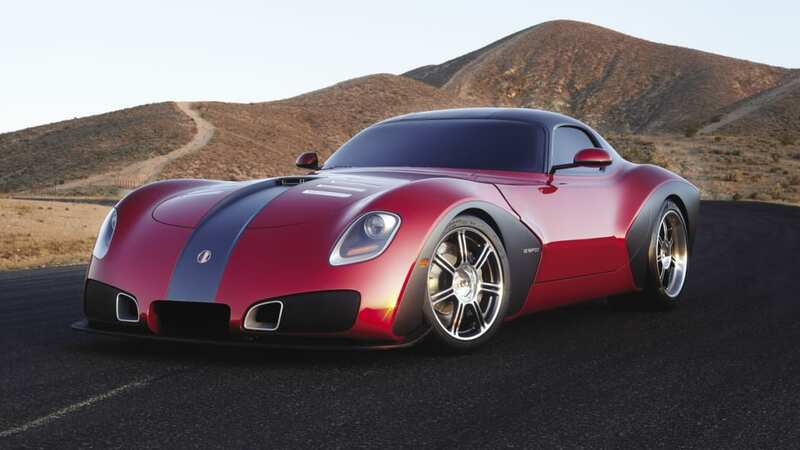 But with an American "can-do" attitude, our goal of creating an American supercar has been realized", said Devon. 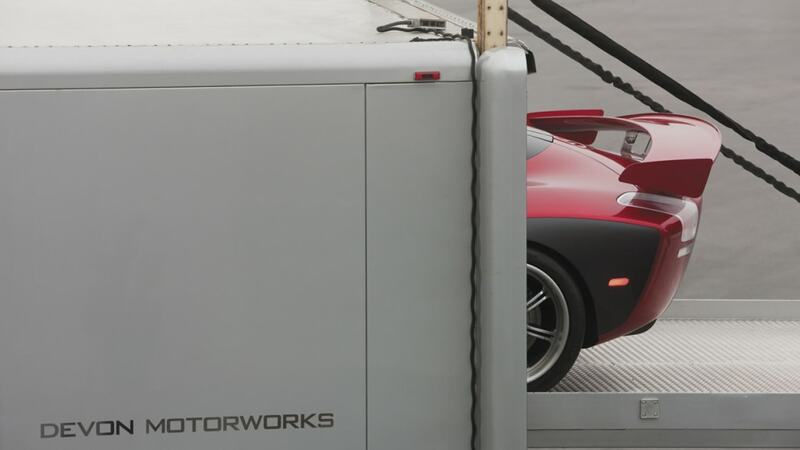 Devon Motorworks will produce 36 cars per year at its manufacturing facility in southern California. On sale beginning in the first quarter of 2010, the cars will be sold for $500,000. An optional Racing Package will be available for $25,000. The vehicles will be sold and serviced directly through Devon Motorworks. 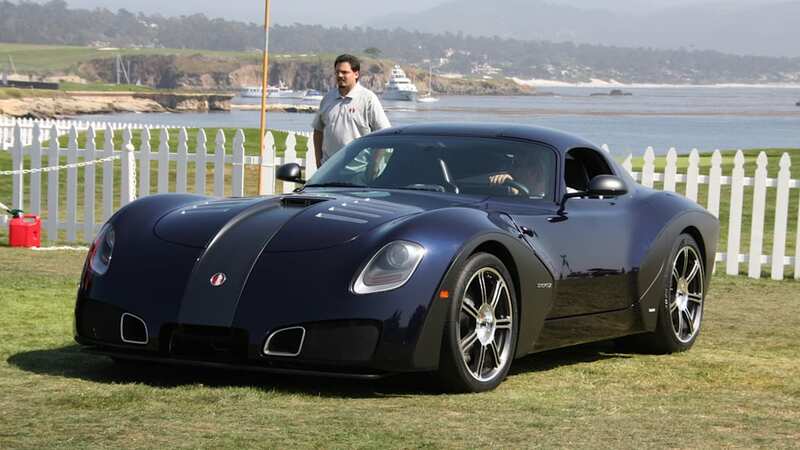 Interested customers are encouraged to visit devonmotorworks.com/about/preorder to learn more about ordering the first Devon GTX. "Each of our customers will have individual needs that we will cater to," Devon said. 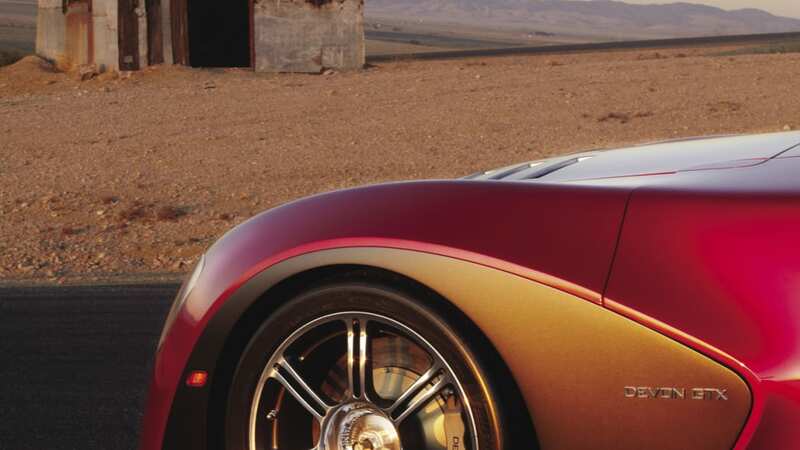 "Our philosophy is to blend their tastes with our exacting standards and in the spirit of bespoke craftsmanship, create a car that is both identifiably a Devon GTX yet singular to our customers' specifications. We want to make sure we have a direct relationship with our customers." Devon Motorworks is an industrial design company based in southern California. All of its design products have a common purpose of providing sculptural power with recognizable beauty. Devon Motorworks' design language is classical, yet futuristic, with exquisite shapes in the modern mold. For more information, go to devonmotorworks.com. 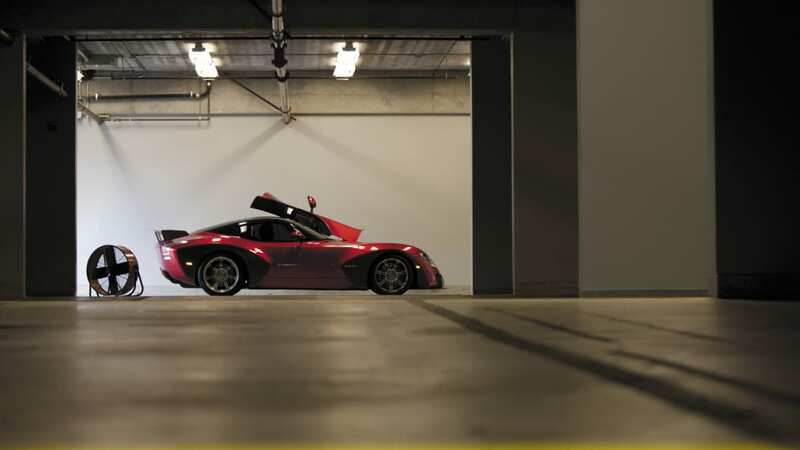 The all-new 2010 Devon GTX blends athletic strength with uncompromising refinement thanks to what is perhaps the most powerful naturally aspirated production car powertrain system in the industry. 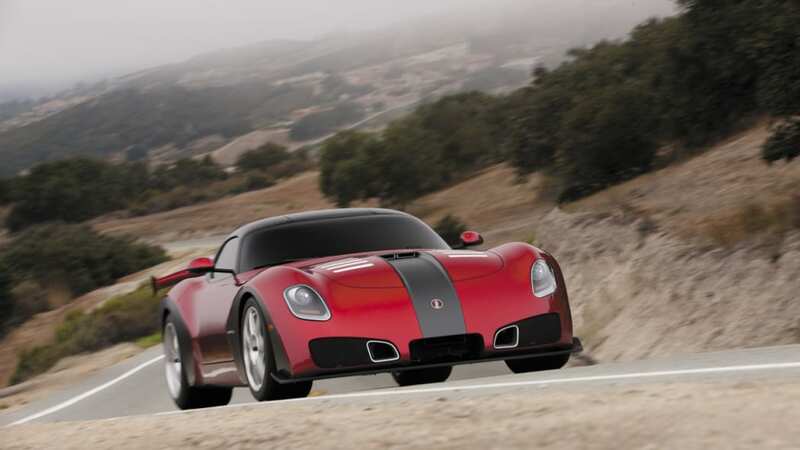 The GTX is equipped with an 8.4-liter (510 cubic inches) V-10 engine that produces 650 horsepower (484.7 kW) at 6100 rpm. The V-10 engine is mated with a track-proven six-speed manual transmission. 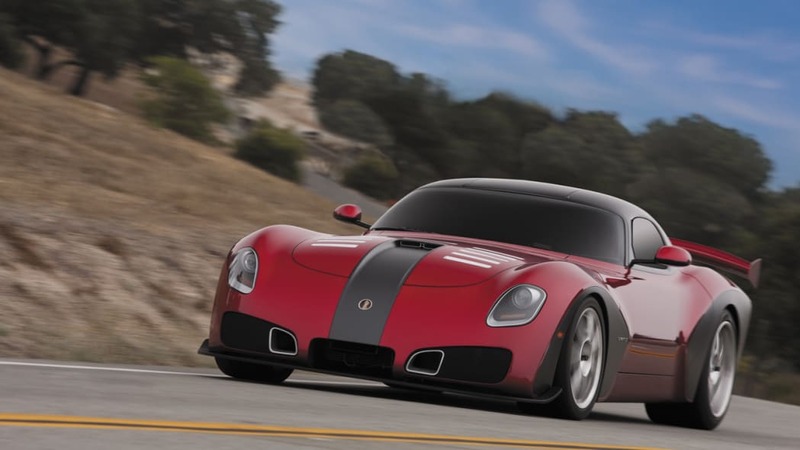 The Devon GTX holds the unofficial track record time of 1:26:00 at California's Willow Springs raceway, which was set during validation testing in the summer of 2009; and In July of 2009, the Devon development team took the GTX to Laguna Seca with the intention of setting a new track record, and did so with a time of 1:35.075. Engine lubrication is managed by a large oil pump and a swinging oil pickup adapted from competition engines, to improve oil pressure in high-rpm and hard-cornering conditions. 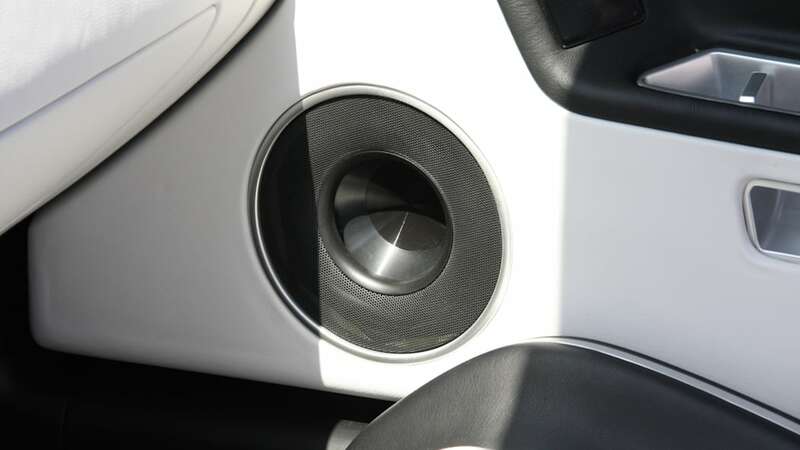 The air induction box receives combustion air via snorkel tubes from the super coupe's low-mounted center air intake in the front portion of the vehicle. The induction box provides minimal inlet restriction at peak airflow – a key enabler the engine's exceptional power. 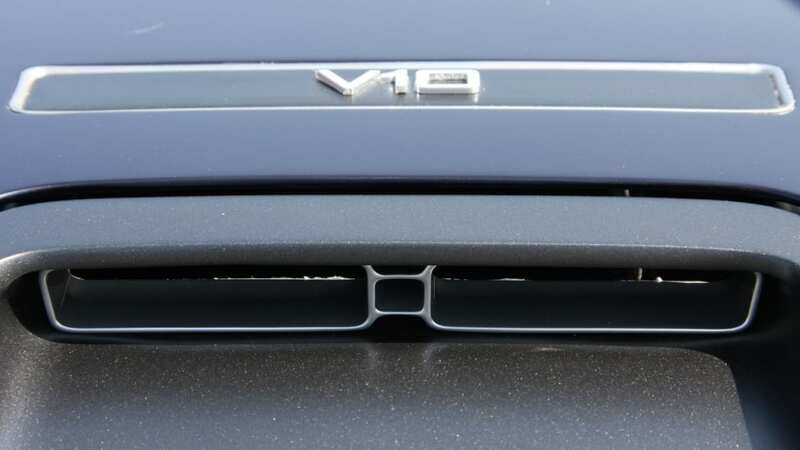 The dual exhaust system is initiated with lightweight 5-into-1 super-tuned long tube headers leading into 2.5-inch diameter pipes that help enable low back pressure and high flow. 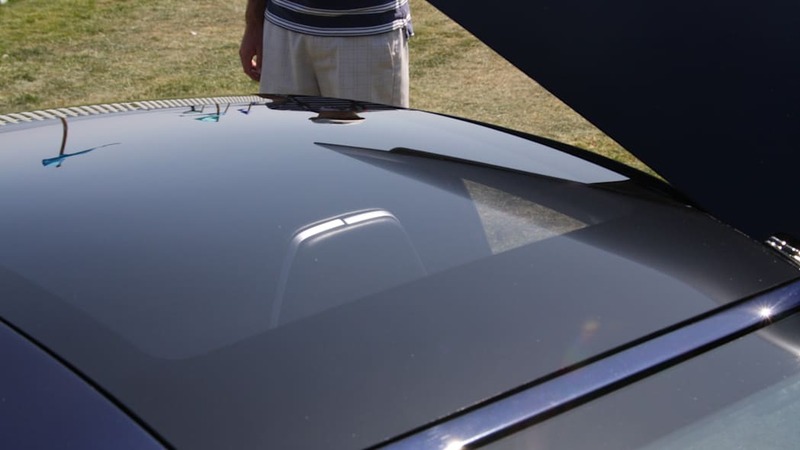 The system is made of stainless steel, which leads to chrome, 3.75-inch beveled (concave) tips exiting the rear center portion of the vehicle. Reflecting the sensory craftsmanship that has gone into the GTX, the exhaust note has been specifically tuned to audibly convey the vehicle's capability and overall sophistication. 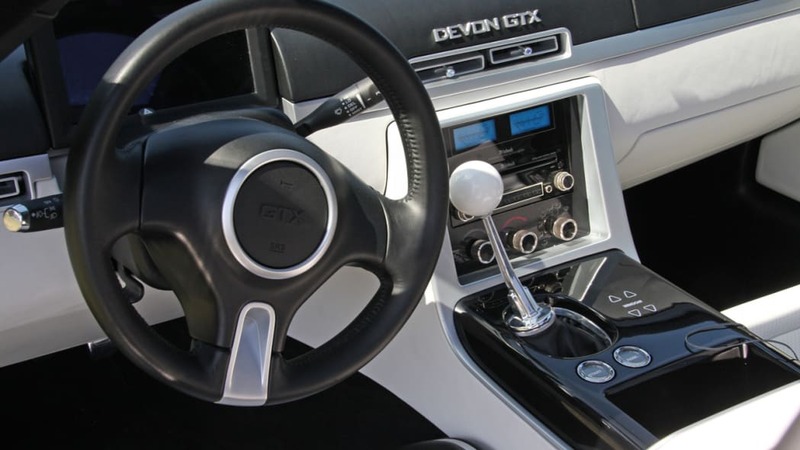 The transmission on the Devon GTX incorporates a host of applications to ensure effective transfer of the 8.4-liter engine's exceptional power and torque while delivering high-performance, fun-to-drive shifting characteristics. The end result: is short, crisp shift throws; smooth gear synchronization, and overall improved shift feel with little or no vibration. The transmission boasts wider gears for increased torque-handling capability; a six-gear synchronizer system for exceptional shift feel and reduced efforts; double-cone reverse gear synchronizer for eased "R" selection; strengthened housing for minimal "flex" and improved shifting; and a dual mass flywheel with twin-disc clutch. 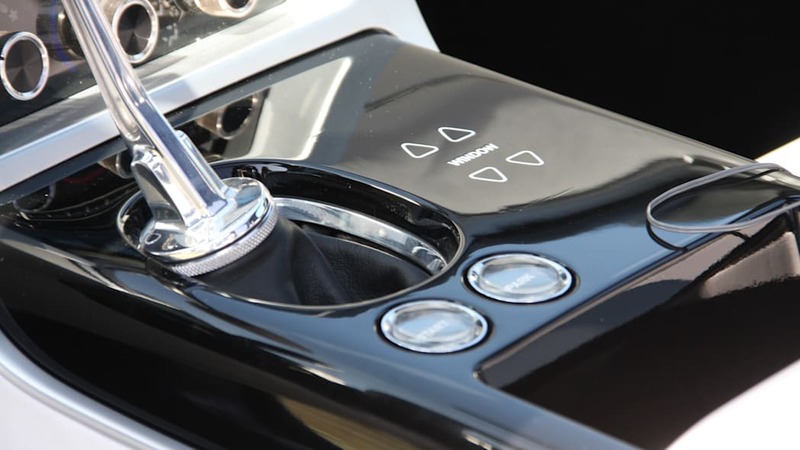 A single-point mounting system for the shifter assembly is attached directly to the body structure providing an extremely solid, stiff, and "tunable" unit. The shifter links directly to the transmission via a short rail. The solid mounting and short linkage results in a package that can be optimally tuned for feel via isolation bushings in the shifter assembly – in turn, positive feel is achieved with little or no vibration. 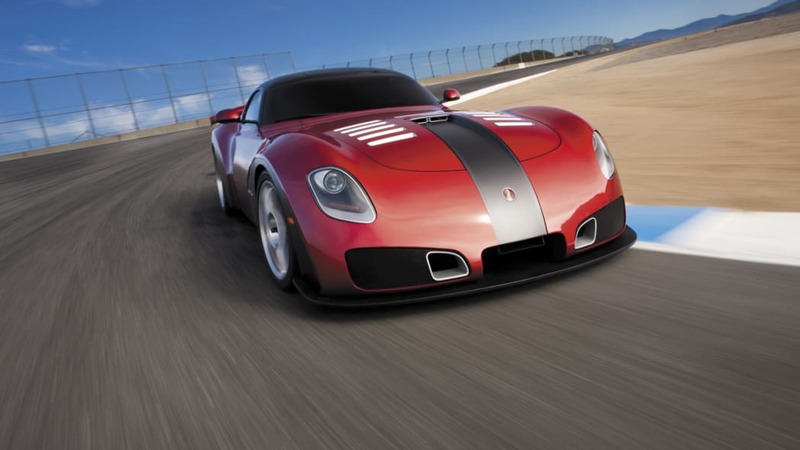 The new Devon GTX supercar incorporates a series of high-performance chassis refinements tuned on some of the America's most renowned tracks, including Willow Springs Raceway and Laguna Seca. 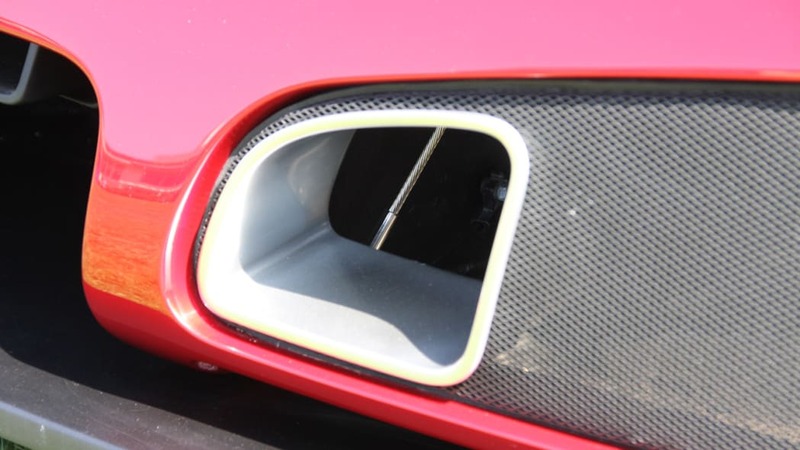 An articulating front splitter (available post launch) that extends outward approximately 80-mm for enhanced downforce for optimal track performance. A high-rate, direct-acting solid 27-mm diameter stabilizer bar. A high-rate, solid 27-mm diameter stabilizer bar. The rear-drive only GTX is equipped with a frame-mounted speed-sensing limited slip differential which mechanically manages wheel torque on all surfaces for improved vehicle performance during handling maneuvers. The GTX is equipped with the manual six-speed transmission and carries a final drive ratio of 3.07. A continuously variable damping system will be available on the GTX following the start of production. Enhancements in the technology's algorithms – combined with extensive track testing and validation – ensures the car is kept more controlled in all situations; on or off the track. The system uses electronic control of damping forces in a continuously variable real-time damping system to provide exceptional responsiveness, greatly increased driver control and increased tire contact with the road, regardless of road surface. 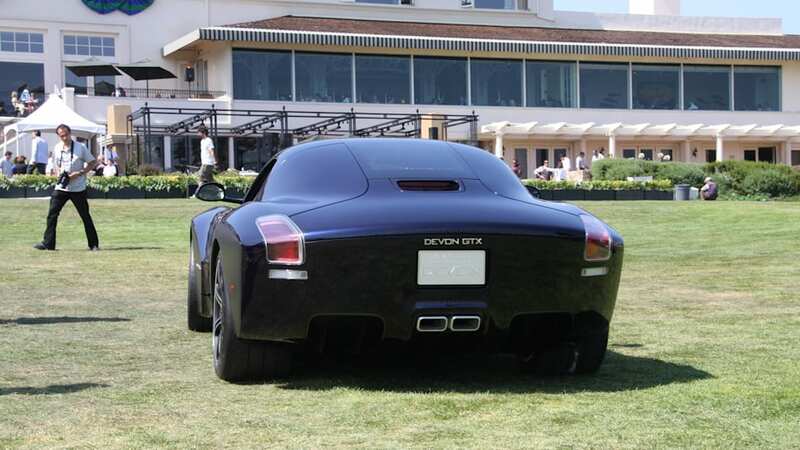 In order to achieve optimal aerodynamics and ride/handling characteristics in all driving scenarios, the new offering from Devon Motorworks is equipped with an articulating splitter (available post vehicle launch) and hydraulically driven ride height adjustment (when equipped with optional continuous damping system-- also available following vehicle launch). The articulating front splitter – an uncommon application in the worldwide automotive industry – travels approximately 80-mm forward to produce enhanced downforce for optimal track performance. It is hydraulically driven fore and aft. 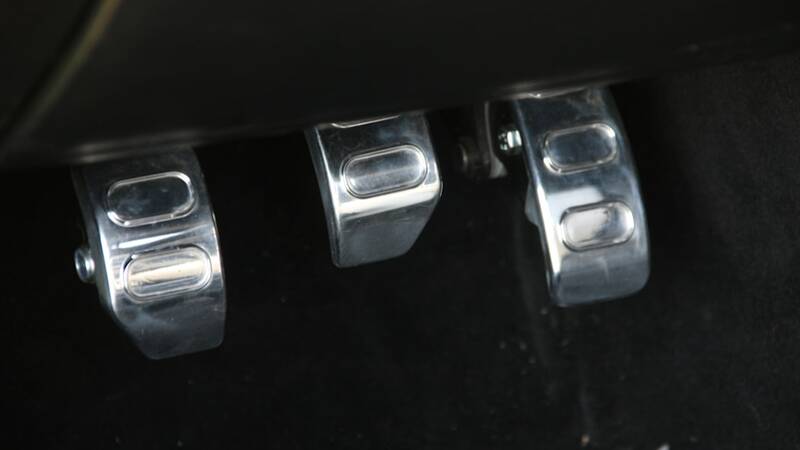 Ride height adjustment – again, an uncommon application – operates similarly to the articulating splitter and drives the vehicles' rocker clearance via damper adjustment approximately 60-mm up or down. 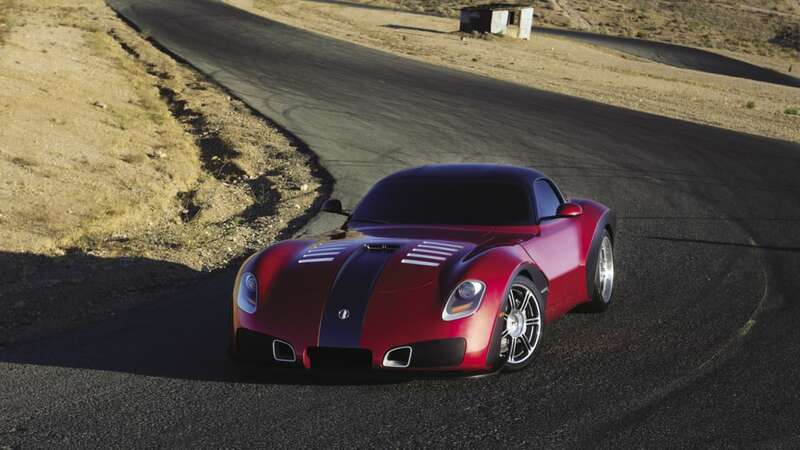 When equipped with ride height adjustment, the Devon GTX is outfitted with dual-rate springs. In the extended ride height mode (Tour mode, or high setting), the springs are tuned to be softer for more jounce and rebound, ensuring a civilized ride. In the lower setting (Performance mode, or low setting), the springs are competition-rate stiff, delivering enhanced driver feedback and governed pitch and roll characteristics. The brake system on the new Devon GTX is engineered to deliver world-class performance, appearance and durability without compromise. The technology has proven itself by winning professional sports car races and championships, yet also provides benefits that can be experienced and appreciated every day. The brake system is designed to provide shorter stopping distances, better brake modulation, firmer pedal feel and less brake fade than other high-performance luxury cars, resulting in powerful, confidence-inspiring performance. With six pistons in each front caliper and four in each rear, the brake system is custom-tailored to the uncompromising requirements of the GTX. The opposed-piston brake calipers are first forged, then weight-optimized by fully machining all exterior surfaces. The two-piece rotor design reduces weight by one-third compared to a one-piece brake rotor of the same dimensions. 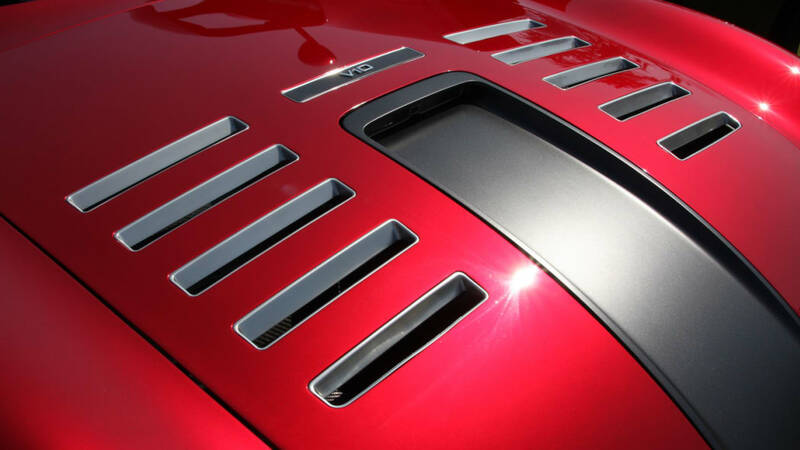 The patented, directional AeroRotor vane design induces up to 80-percent more cooling airflow than the rotors used as original equipment on many high-performance luxury vehicles. This reduces maximum and average operating temperatures, improving pad and rotor life. Steering feedback to the driver is performance tuned through a premium rack and pinion steering gear. The steering system incorporates outstanding torsional stiffness with less operating friction. The result is steering precision of the highest order, with near-perfect linear response and smooth, predictable transitions. 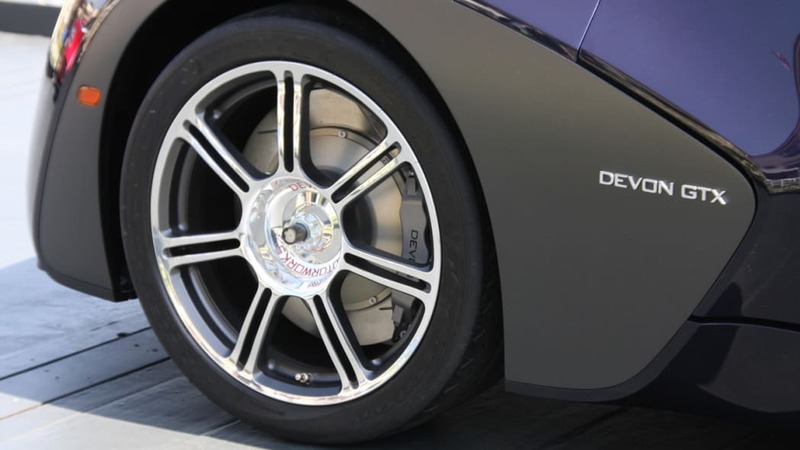 For sure-footed, enhanced handling, the Devon GTX is equipped with purpose designed and built Devon Motorworks forged aluminum alloy wheels with center lock configuration. 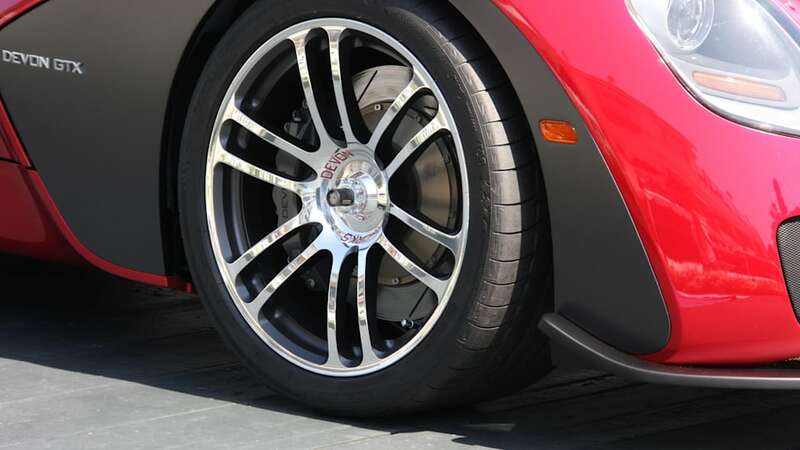 Wheel sizes are 18- by 10-inches in the front; 19- by 13-inches in the rear. 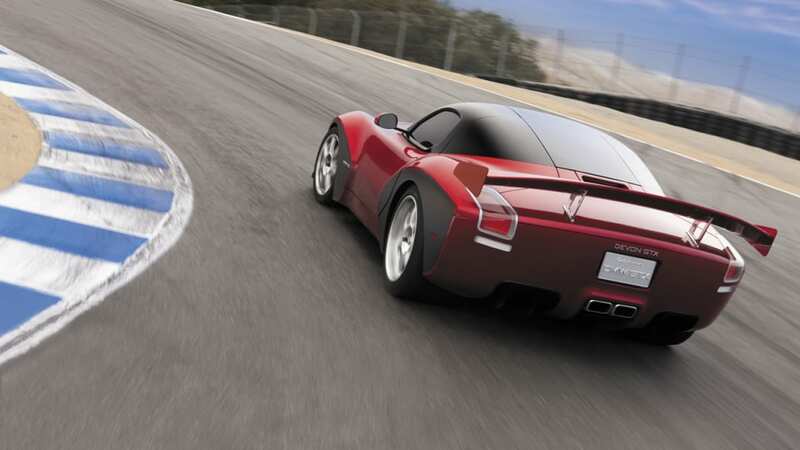 Larger wheels are optional and measure 19- by 10-inches in front; 20- by 13-inches in the rear. The lattice structure wheels incorporate a geometric design which not only enable views to the large brakes (static or in motion), but enable weight optimization – a key to reducing un-sprung mass. 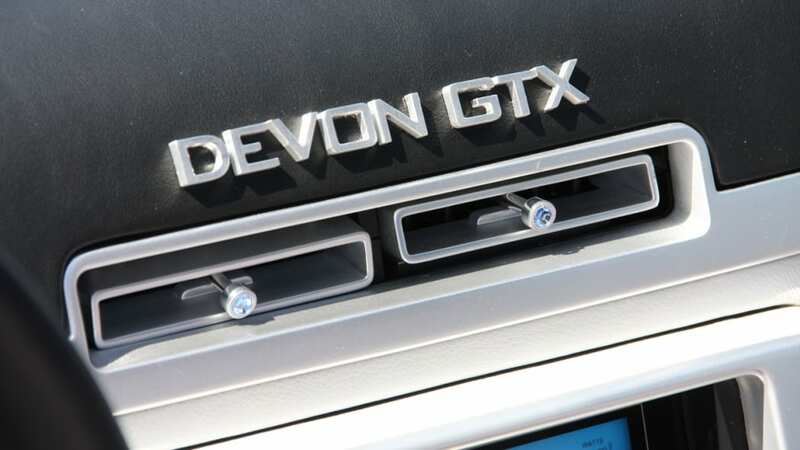 The new Devon GTX is equipped with an electric park brake – simply touching a surface area in the center console actuates the system. As a result, the floor-mounted park brake (or hand brake) - and related mechanisms - is eliminated. Constructed of aircraft-quality carbon fiber from stem to stern, the GTX instantly communicates its ultra-performance capability through aggressive, compact proportions and large (up to 20-inch) lattice-structure center-lock wheels. In all, the exterior design navigates between the past and science fiction, subtly blending muscle, curves, exquisite shapes and dynamic graphics to create a classical, yet futuristic, statement that's ready to stand the test of time. 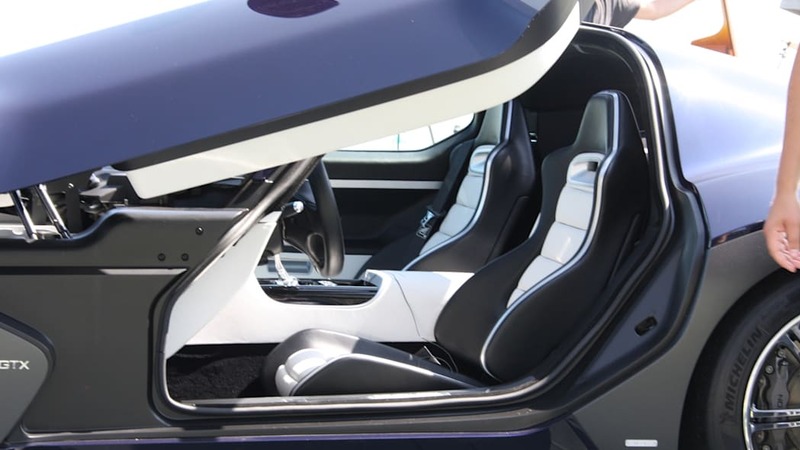 Inside, carbon fiber-reinforced racing seats, dual-grained leather surfacing throughout, and tasteful chrome appointments communicate a Miesian, "less is more" design philosophy. 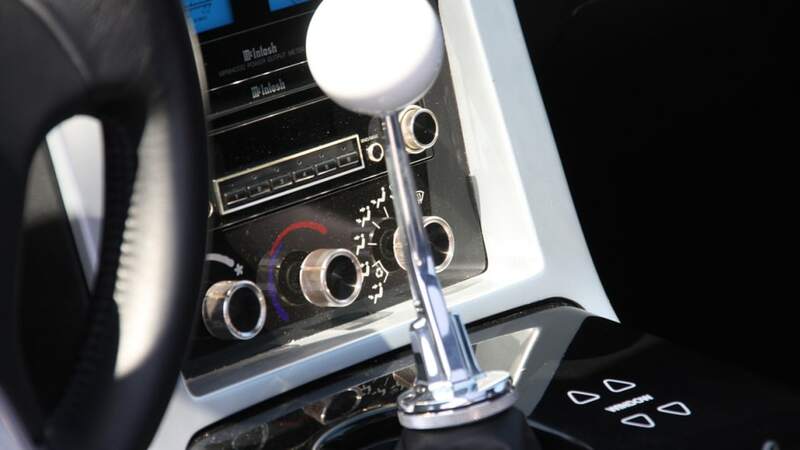 A neo-retro gear lever – topped by a white gear knob – melds driver with machine. 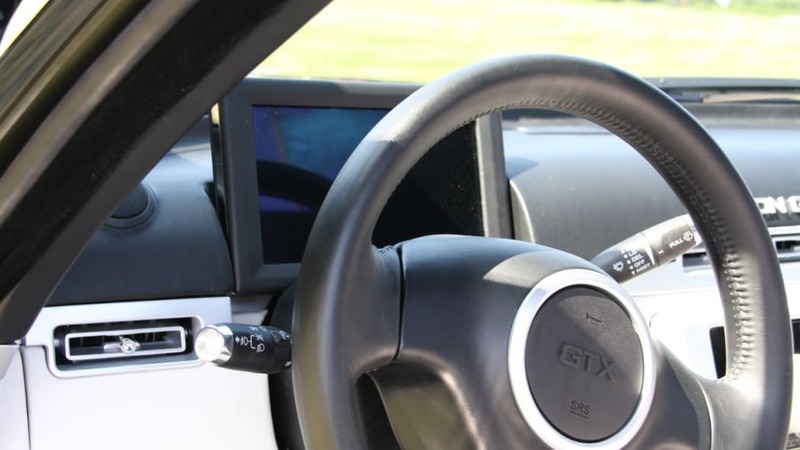 A high-definition LCD cluster display that digitally presents primary vehicle information in an analog format. At the structural core, the GTX is built upon a framework that is as advanced as any in the global automotive industry. Overlaying its steel structure is a glove-fit, single-piece molded superstructure made of carbon fiber. Construction of the superstructure requires a complex mold – essentially the size of the vehicle – in which all datum and attachment points are positioned within literally fractions of a millimeter. Once the superstructure is in place, all body panel attachment points are inherently accurate for uncommonly consistent builds. 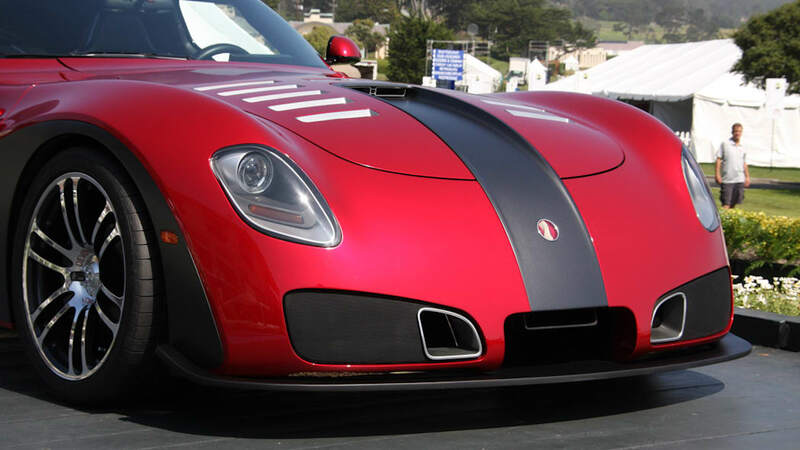 The superstructure – due to the use of carbon fiber – is also extremely lightweight, strong and stiff, ensuring outstanding crash performance, noise / vibration tuning, and incredibly accurate chassis tuning. While overall shape of the new Devon GTX carries traditional "muscle car" dimensions with a long dash-to-axle and short front and rear offsets, it's executed in the context of sophistication and athletic grace. 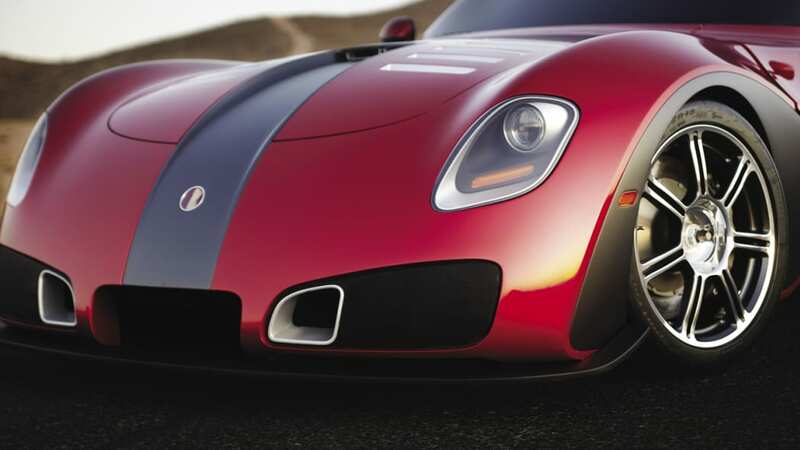 Seemingly honed from a single billet, the GTX's flowing exterior skin is formed of carbon fiber, which enables precise molding – rather than traditional stamping – of exterior fenders, panels, and closures. 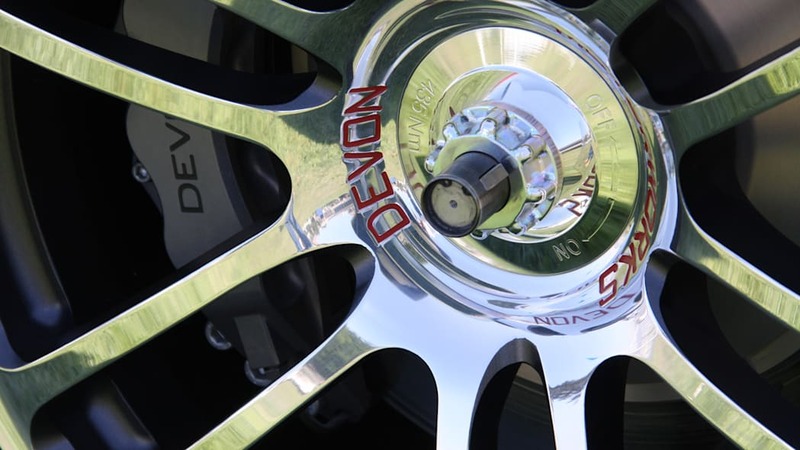 Large (18 / 19-inch or 19 / 20-inch combinations) 12-spoke aluminum forged monoblock lattice structured wheels lead the eye to large, ultra-performance calipers (carrying the Devon insignia) and rotors, leaving no doubt about the supercars's performance competency. The wheels carry a machined or polished finish and painted inner-spoke surfacing leading to the Devon insignia defining the center hub. The GTX is also equipped with center-mounted locking hubs, a lug-free design more commonly seen on race cars. A wheelbase of 98.8-inches – combined with a flush wheel-to-body relationship defined by distinctive, offset-flush, tone-shaded wheel surrounds – ensures well-grounded appeal and presence as well as an agile look with more muscular front fenders and rear haunches. 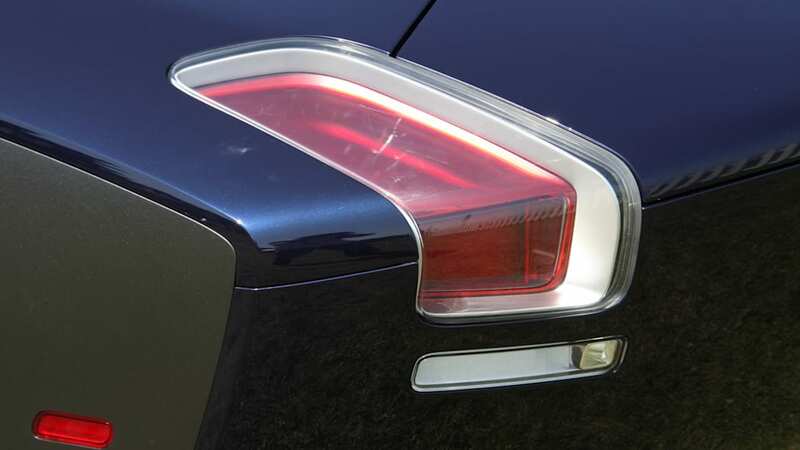 Posted exterior rear-view mirrors have been aero-optimized – along with the rest of the exterior – by a dedicated team led by Dr. Joe Katz of San Diego State University (SDSU). The team's efforts led to the incorporation of a three-piece belly pan constructed of carbon fiber. 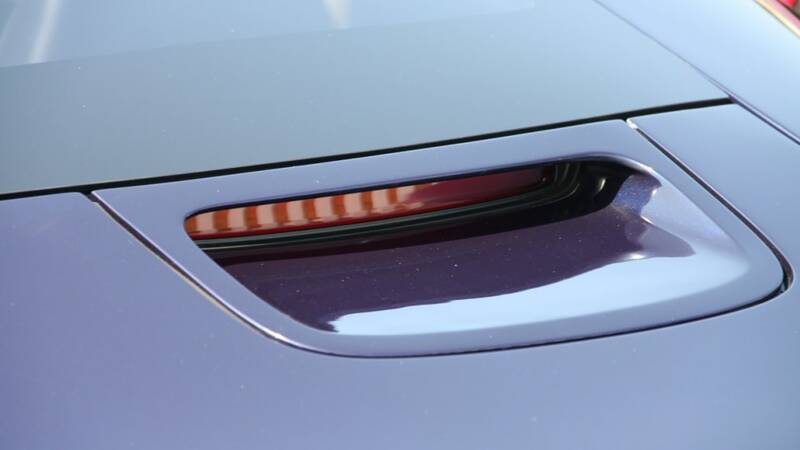 In addition to providing enhanced under-car surface appeal and aerodynamics, the belly pan carries revolutionary "vortex generators" for improved downforce – a key enabler to the vehicle's exceptional agility and balance. The interior of the new Devon GTX has been designed with the driving enthusiast top of mind – all features, surfaces and dimensions have been created to ensure a second-to-none performance experience. 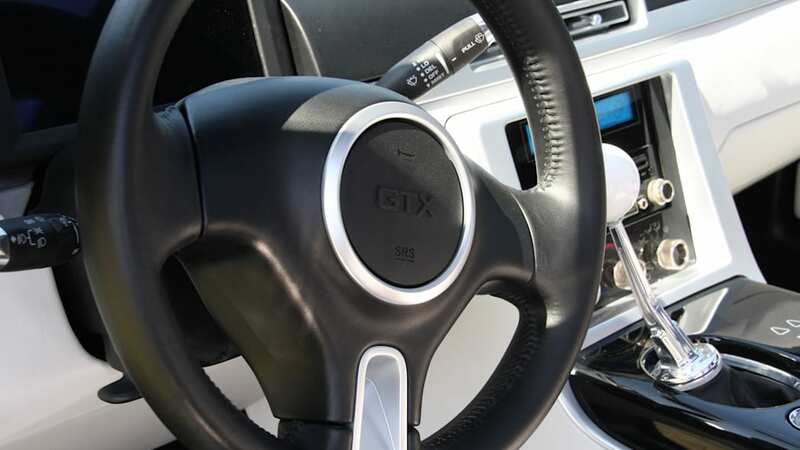 A smaller diameter, thick-rimmed, leather-wrapped steering wheel ensures a performance grip and optimal feel. Carbon-fiber reinforced structured seats – carrying a racing shell design and integrated headrests – incorporate six-point racing harness seat belts (optional; five point standard) – are chrome trimmed, outfitted with stiff performance durometer seat and bolsters, and skinned with the softest real-leather hide available. Dual-grain leather surfacing ensures a dynamically tactile environment. Seat and center console areas carry softer leather with smoother animal grain; the upper IP, pillars, headliner and door surfaces incorporate a coarser, three-dimensional tactility. All audio, HVAC, and cluster instrumentation is communicated via digital analog graphics on high-definition displays. All instrumentation incorporates bluish fluorescent illumination. The speedometer, tachometer, fuel, temperature and other mechanical related instrumentation is displayed in the cluster under a fixed hood. Audio and HVAC is displayed in the integrated centerstack. 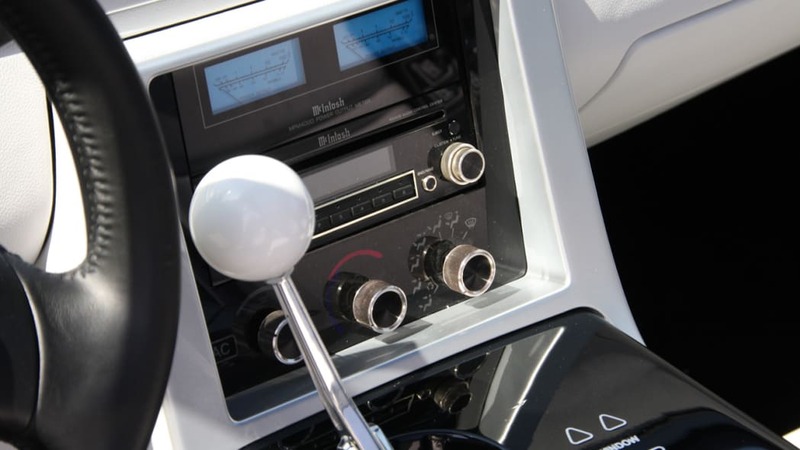 The traditional neo-retro white ball-head stick-shift is constructed of stiff polished aluminum for optimal feel and connectivity; it is directly connected to the world-class transmission that engages beneath. 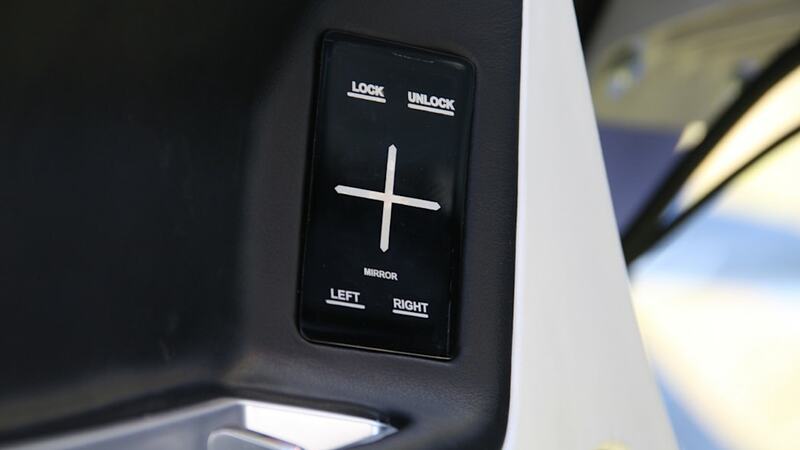 The shift is surrounded by a piano black finish, which carries back-lit, surface-flush touch switches for windows, door locks, related chassis controls, and an electronically actuated parking brake system. The actuation of almost all articulating elements on the GTX is enabled by the incorporation of sensory touch switchwork. Located on the doors, rear trunk, and interior center console, actuation is essentially the equivalent of lightly touching a pane of glass. The touch-actuated switchwork enables the overall clean and uninterrupted surfacing found outside and within the GTX. A magnetic field surrounding each switch location immediately recognizes the light pressure being applied as human or other (e.g. a pet or briefcase). 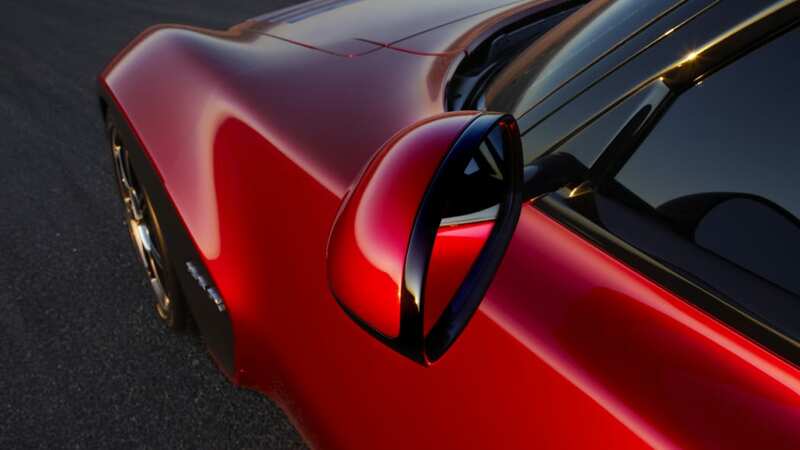 The driver and passenger doors on the Devon GTX articulate up, then forward following light depression of a touch switch located on the relating exterior door panel. Once the touch switch is activated, the door is de-latched. From there, a light lift – or push / pull downward to close – is all that's needed, thanks to hydraulic assist. A McIntosh Mcc406m 6 channel amplifier, which will be mounted in the center of the rear shelf between the subwoofers.